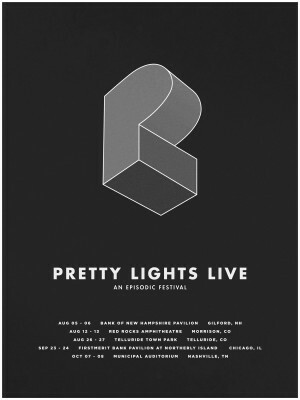 Inspired by 2015’s landmark two-day festival in Telluride, CO – Pretty Lights will host “An Episodic Festival” – a series of multi-day events this summer and fall, complete with a live band featuring Derek Vincent Smith, Brian Coogan, Borahm Lee, Alvin Ford Jr. and Chris Karns. Each stop will host a variety of special guests, curated by Derek Vincent Smith. The upcoming events continue the vision of the two-day gatherings, visiting Gilford (New Hampshire), Chicago, Nashville and also include two Colorado weekends, at Red Rocks Amphitheatre and Telluride Town Park. Both series of Colorado appearances will feature two sets per night from Pretty Lights. VIP (via CID), lodging specials (via CID and Curadora) and camping (New Hampshire and Telluride only) are also available now.